This Year couldn’t have been more of a disaster for the Kansas City Chiefs. This is a team I projected to win the AFC West because they finished 2011 playing well under Romeo Crennel, even handing the Packers their only loss of the year. Silly me. Crennel and the Chiefs were terrible in 2012 and even though he is a fantastic defensive mind Crennel reminded us why he should not be a head coach in this league. He is a wonderful man and carried this team with grace through a terrible tragedy in November, but never the less the performance on the field was simply not good enough. The Chiefs have a pretty talented roster and if they make the right moves, this could be a team that rebounds in a division that is lackluster after the Denver Broncos. Quarterback: The Matt Cassel era was a complete disaster and ultimately is the move that is the biggest black mark on the Scott Pioli years. This is not a great year to have the number one pick if you are in need of a franchise signal caller. At the moment there is no consensus top quarterback, though someone such as Geno Smith could emerge in the coming months. 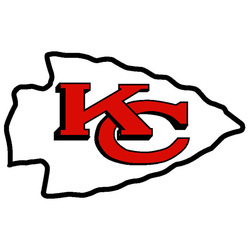 Perhaps they can tab a quarterback at the top of the second round, but Kansas City cannot afford to go with the veteran retread rout again in light of the ugly fact that it has been twenty five years since a quarterback the Chiefs drafted led Kansas City to a win. Two wide receivers: I don’t know if I see Dwayne Bowe coming back to Kansas City, and supposing he does not the Chiefs will need two wide recievers. Jon Baldwin has been slow to develop and players like Steve Breaston and Dexter McCluster certainly cannot be counted on. It would be nice to see the Chiefs add a another big outside the numbers type receiver, who can get deep, to challenge Baldwin and another guy who can man the slot position. This would help their next young quarterback. Defensive Ends: It is pretty unbelievable that this is still a team need; given Glenn Dorsey and Tyson Jackson were high picks by this team. Dorsey is a free agent, who should leave to play in a 4-3 system, while Jackson could be released because Scott Pioli picked him ridiculously high in the draft several years ago. His salary is likely too much to keep around. This is all contingent that a new coaching staff will stick with a 3-4 defense, which they should because they have good players in place. Interior Offensive Line: Ryan Lilja retired at the beginning of the offseason and he was a nice guard, but this season he had to slide to center after Rodney Hudson was placed on IR. There are solid starters at right guard, right tackle, and left tackle assuming Branden Albert is brought back. However, a plan B should be brought in for center and left guard if Hudson doesn’t return healthy and Jeff Allen doesn’t improve. Cornerback: Stanford Routt was cut midseason after being a disappointment. Players like Javier Arenas and Jalil Brown are ok but they strike me as nickel players. Another starting corner would be nice across from the stellar Brandon Flowers. Though, they can probably get away get away with Arenas for at least another season.